Rep. Shelley Moore Capito, Moderate or Loyalist? Democratic Sen. Jay Rockefeller, apparently recognizing that Capito would be a formidable opponent, announced his intention to retire soon after she announced her intention to challenge him. 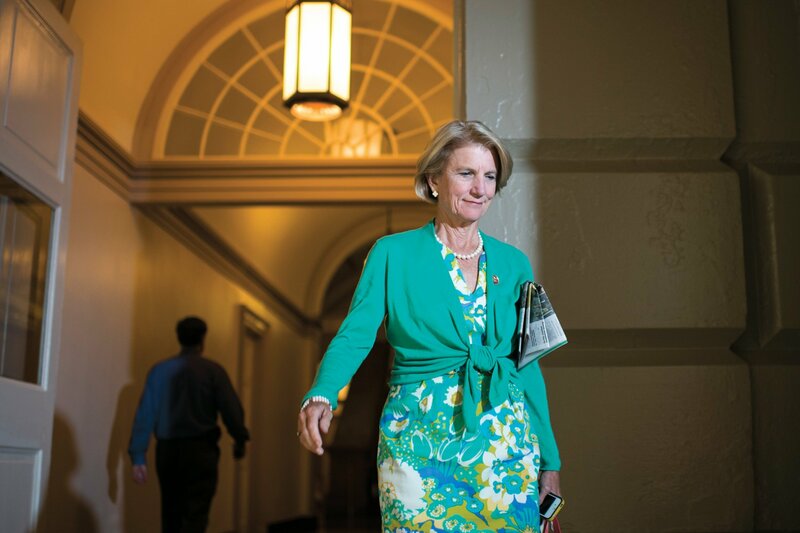 With little Democratic opposition likely, Capito now appears to be a shoo-in for the Senate. But first she must win a Republican primary next May against an Afghanistan veteran, Pat McGeehan, who has the backing of the Republican Liberty Caucus, a libertarian group. The Club for Growth and the Senate Conservatives Fund also oppose her candidacy. Capito’s sin? She is too moderate for some of the most hardline members of her party. Shelley Moore Capito: Too Liberal for West Virginia, a page that launched last week on Facebook, calls her “pro-abortion, pro-bailout and pro-debt.” That first allegation isn’t entirely accurate. The abortion-rights group NARAL gives her a 30 percent rating, which in their view makes her pro-life; meanwhile, National Right to Life gives Capito 55 percent, counting against her votes for embryonic-stem-cell research and family-planning funding in U.S. aid abroad. Capito votes with her party 93 percent of the time, which by most people’s lights would make her a conservative. “I don’t know how you could say with a straight face she’s too liberal based on her voting record,” says Karen O’Connor, founder of the Women & Politics Institute at American University. Then again, O’Connor, who is a huge fan of Capito, also says she works extremely well with Democrats, even though she rarely votes with them. Last year Capito was named defensive MVP on the bipartisan women’s Capitol Hill softball team. Next year her political skills are likely to be rewarded.